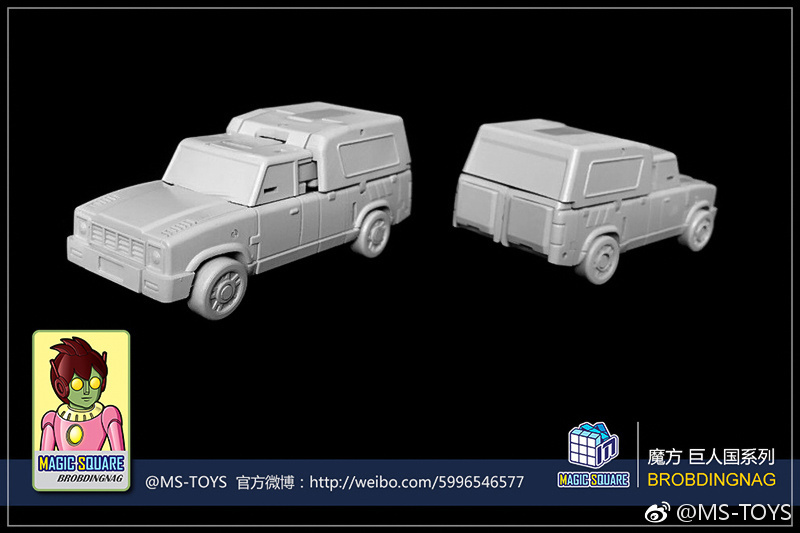 Via Magic Square Toys Weibo we have images of Magic Square Toys Strongman (Legends Scaled G1 Huffer). This figure is a very cartoon-accurate representation of Trailbreaker in both modes. 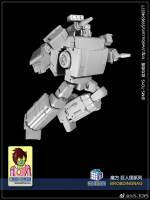 You have the option to display him with both hands or the arm cannon in robot mode. 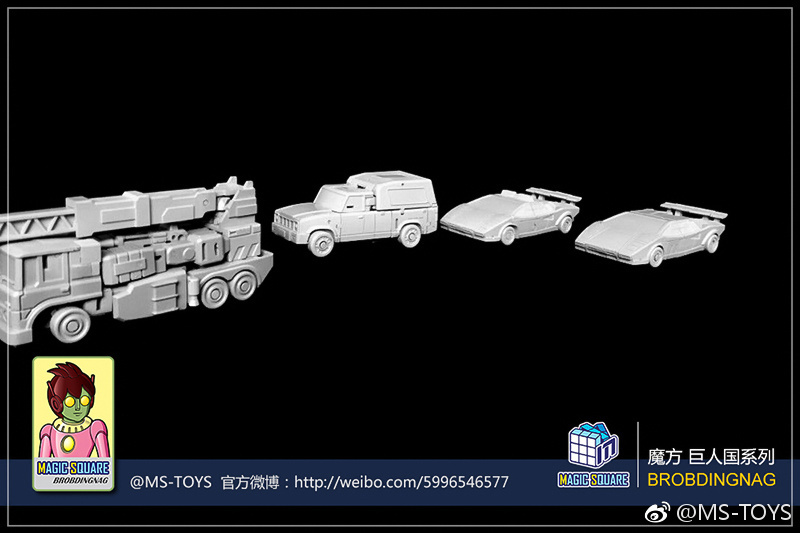 The images let us see the size compared to other Magic Square figures like Sideswipe and Sunstreaker in alt mode. Another picture shows Trailbreaker next to Beachcomber, proving that the scale between these figures works very well. 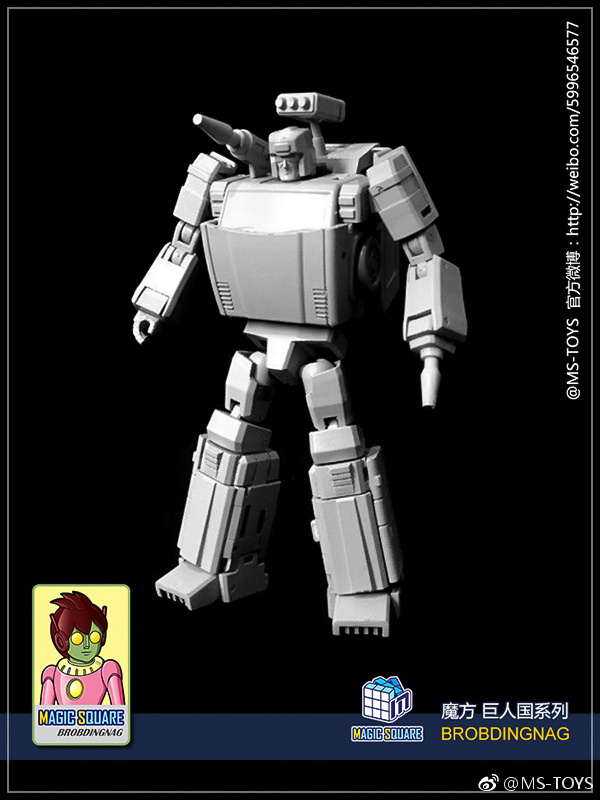 Another very nice addition to the growing options of unlicensed Legends scaled figures. No information on release date yet, but you can check out the mirrored images after the jump, and then share your impressions at the 2005 Boards! Just got mine in today from baba on eBay. 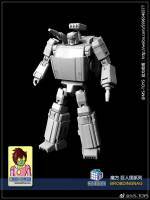 Love this little guy, much better than their Sideswipe. The screw under the windshield worked wonders to improving this figure. Now if the reverse ab crunch wasn't so loose (there is nothing to lock the Ab area into), he would easily be one of my top Legends figure. As is, he is a solid B- who could easily be an A+. they can't care too much about the perfect tension when they have five hundred to do in the afternoon. And are paid next to nothing to do it. yeah, mine was a bit wobbly so I gave the screw a turn or two and it is much better. After years of customizing Joes I'm not worried about messing with the bits, you also tend to realize people put these together, not robots, and they can't care too much about the perfect tension when they have five hundred to do in the afternoon. You guys weren't kidding, this guy is great. As I was transforming him I was like, whuuuuut… This guuuyyyyy… How did they doooooo thiiiis. So many little flips and twists and voila, a snug little pickup. 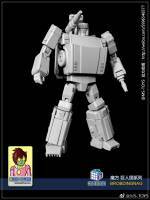 And I have their Grapple and Sideswipe, so it's not like I'm new to their stuff.. this guy is just really neat. This might be my favorite MST release to date. I’m a bit biased tho as we used to have an ‘84 Toyota 4×4 with camper shell that we used to go camping and sleep in the back of. 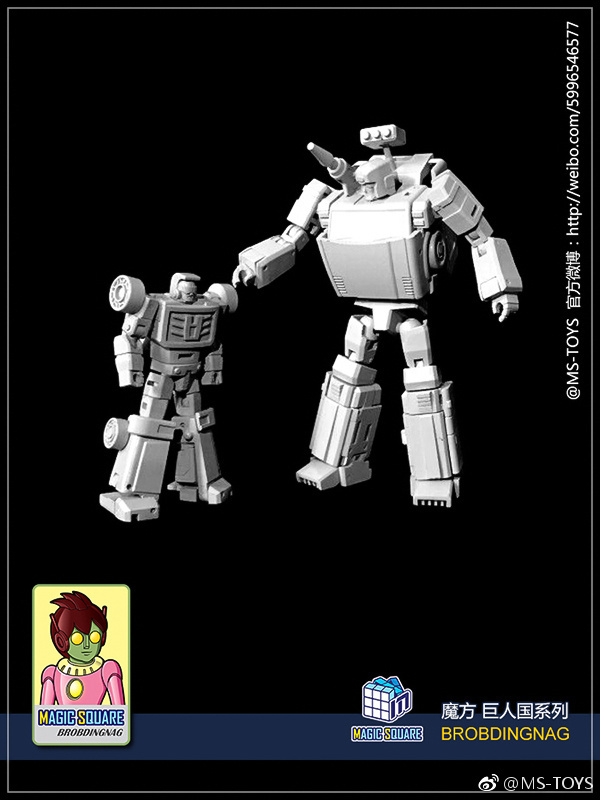 He's a bit shorter than Hot Soldiers Ironhide but I think he looks ok (until MFT upscales one…. ). That's where I'm parking him for now as I just can't get into the MST carbots with those goofy faces. He's one of those characters that I'll buy no matter what and find a place for him. Ironhide, Ratchet, UM and Dinobots fall into that group for me as well. Ol' Trailbreaker hasn't had as many "at bats" as the other guys so it is nice to get one.